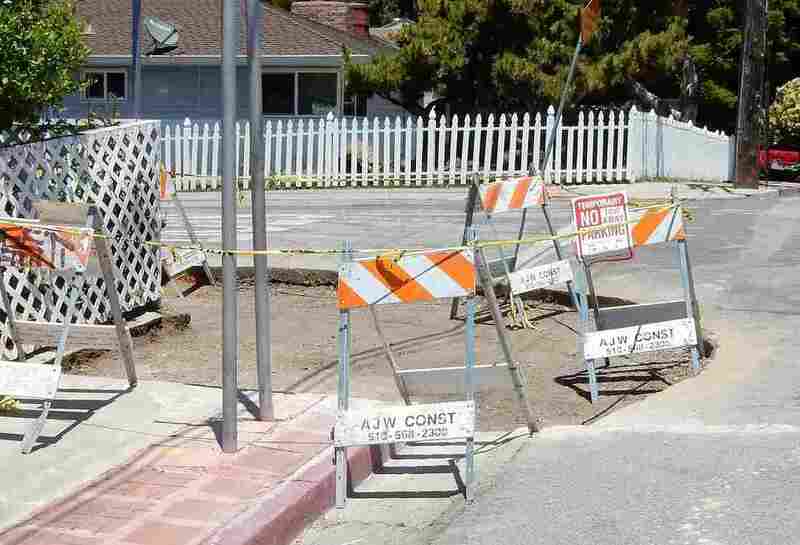 California Town Fixes Crooked Curb, Breaks Geologists' Hearts : The Two-Way A misaligned curb in Hayward, Calif., was a popular destination for geology field trips. For decades it had reflected the shift of a major fault in the San Francisco area. But it has lost its appeal. 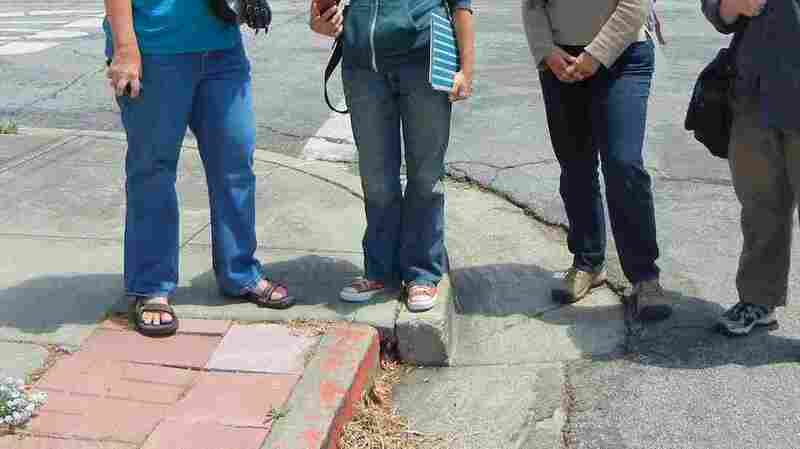 The curb in Hayward, shown in March 2006, has changed over the years. For decades it moved about 4 millimeters per year. But to the town of Hayward, Calif., it was just a bit of subpar infrastructure. Geology enthusiasts gather at a (formerly) noteworthy curb in Hayward, Calif., in May 2012. 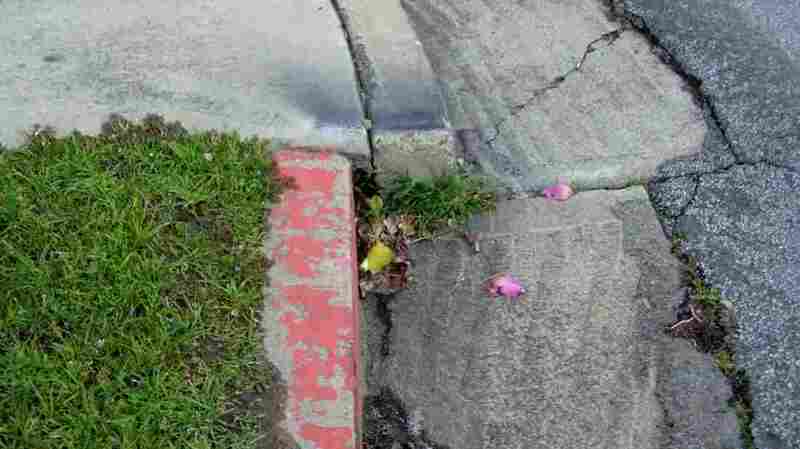 The curb was once straight; the shifting Hayward fault pulled it apart. I should note that while City of Hayward people have sounded defensive, I don't blame them for anything. They should keep fixing streets! In late June, Andrew Alden documented the demise of the geologically significant curb. "It is no more," he wrote. "Come back in 20 years."